The view (again, and this time with better resolution) of Bukit Timah. Bukit Timah already means Timah Hill when it's translated from Malay to English, but everyone calls it Bukit Timah Hill. Why? Coz most people do not understand what Bukit means. 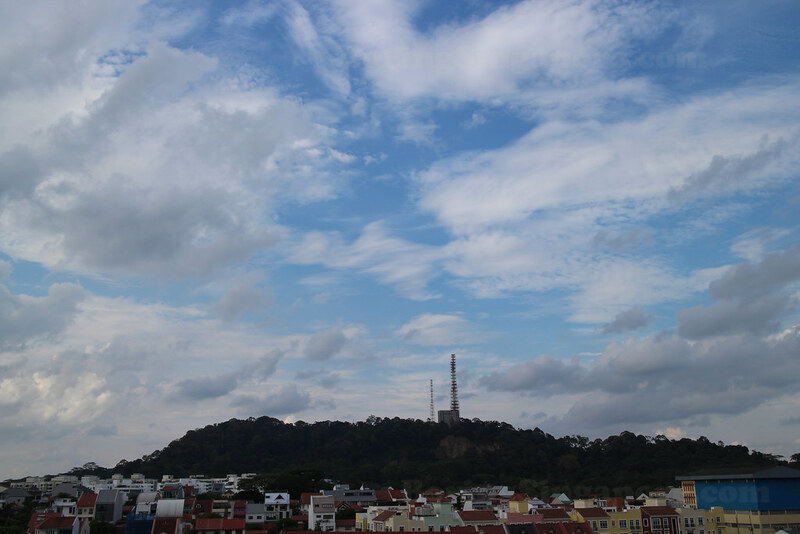 It's also because the whole area is called Bukit Timah, so as to distinguish it the area and the hill itself, people call it Bukit Timah Hill. The tallest buildings in Singapore are 280 metres tall. (That's the currently allowed maximum heights for buildings in Singapore and there are 3 buildings with that height. That easily dwarfs the hill. Labels: Bukit Timah, Bukit Timah Hill.